North east of Issoire and 5 minutes from the centre of town, the Campanile Clermont-Ferrand Sud Issoire was completely renovated in May 2009 and offers good value accommodation. Staff are dedicated to making your stay both enjoyable and memorable and ensuring your room is equipped with all necessary facilities for leisure or work. The rooms at the Campanile Clermont-Ferrand Sud Issoire present stylish and well-appointed living spaces where close attention has been given to details. They are all fitted modern en suite facilities. The restaurant serves traditional French fare, and the lounge bar offers a cosy setting for a relaxing nightcap. The hotel is situated 20 minutes from Clermont-Ferrand, close to the A71/A75 and A89 motorways, and near the volcanoes between the Chaîne des Puys and Massif du Sancy. It boasts a privileged location for both business and leisure trips. The 120-seater restaurant is made up of 2 rooms that offer refined and cosy settings for business or family meals. Private lounges for cocktails or various events are also available on site. The 110-seater terrace boasts a peaceful location right in Issoire’s city centre. Logis De France Le Pariou - Le Jardin features 4 to 5 adjustable seminar rooms with areas ranging from 40 to 100m². They are all air-conditioned and equipped with paper-board, overhead projector and WiFi. Located only 1 kilometre from the centre of Issoire, close to the A75 motorway, the ibis Issoire is the ideal place for a stopover in the Monts d'Auvergne region. 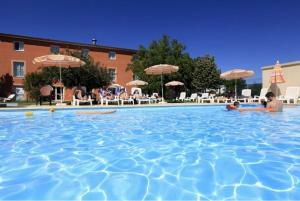 For your comfort, the hotel boasts 30 air-conditioned rooms with wireless internet access and a functional bathroom. One accessible room is available to people with mobility impairment. Enjoy a delightful meal at the Courtepaille restaurant or a drink among friends at the hotel's bar. Snacks are also available 24/24. Keep yourself busy in this hotel located close to a shopping centre, 30 kilometres from the Super Besse ski area, 35 kilometres from Clermont-Ferrand's city centre and a stone's throw from Issoire's lake. The Ace Hôtel Issoire belongs to a new generation of hotels combining budget rooms with up-to-date facilities. Choose among spacious, air-conditioned rooms, all soundproofed and elegantly decorated. Stay connected throughout your stay thanks to a free Internet access available in all rooms. Located in the heart of Les Listes industrial zone, near the Carrefour shopping and the Grand Mas sporting and leisure centre, the hotel welcomes business travelers and families alike. Many good value restaurants are also available in close vicinity, making it a great place for budget travelers. Offering a restaurant, Le Relais is located in Issoire, just 150 metres from the train station and 400 metres from the clock tower. Free Wi-Fi access is available throughout. Rooms here will provide you with a view of the park, a flat-screen TV with satellite channels and a wardrobe. The en suite bathroom is complete with free toiletries. A breakfast is available each morning at Le Relais. Guests can also enjoy regional cuisine in the on-site restaurant and relax with a drink in the bar. Parentignat Castle is a 10-minute drive away and Perrier is 5 km from the hotel. 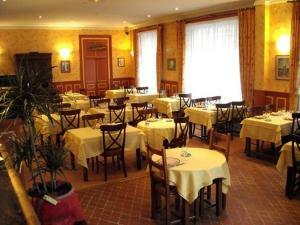 The property offers free private parking and Clermont-Ferrand is only a 30-minute drive away. Located in the Massif Central region, in Issoire, Le Diapason hotel offers views over the Puy de Sancy Mountain and is a 40-minute drive to Clermont-Ferrand. Rooms feature a private bathroom with a shower, a flat-screen TV and a desk. Free WiFi is available. Extra facilities include luggage storage, a bar and a restaurant with live music from Thursday-Sunday. Guests can enjoy hiking activities in the surroundings. The Auvergne Volcanoes Regional Park is 78 km away. Clermont-Ferrand train station is a 35-minute drive from the hotel. 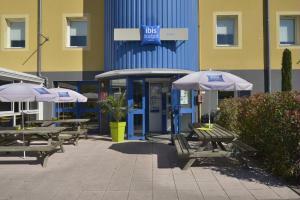 Ibis budget Issoire is located in Issoire. Each room here will provide you with a TV and air conditioning. Private bathroom also comes with a shower. Extras include a desk. 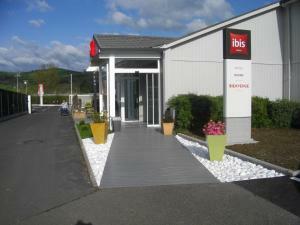 At Ibis budget Issoire you will find a terrace. Other facilities offered at the property include a shared lounge, luggage storage and a vending machine. Clermont-Ferrand Auvergne Airport is 27 km away. 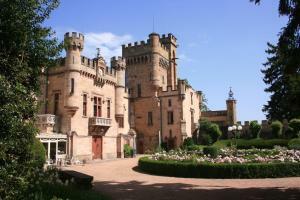 Château Camping de la Grange Fort is set in a castle surrounded by the Auvergne countryside in Les Pradeaux. It features an indoor and outdoor seasonal swimming pool set in large gardens, and a tennis court. The Allier River runs right next to the Castle throughout the campsite. Guest rooms are elegantly decorated with antique furnishings and feature a balcony overlooking the parkland. They come with a fireplace, wooden flooring and an HD TV. The large private bathrooms include a hairdryer. The chalet, bungalow and mobile home also feature a seating area and a fully equipped kitchen. On site facilities at Chateau de la Grange Fort include a children's playground, table tennis and a boules pitch. You can relax with a drink in the bar and dine in the brasserie restaurant open in the campsite daily. There are opportunities for hiking, fishing and canoeing nearby. 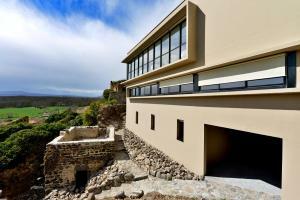 Chateau de la Grange Fort is just 7.2 km from Issoire train station and 32 km from Clermont-Ferrand Airport. Free private parking is available on site.